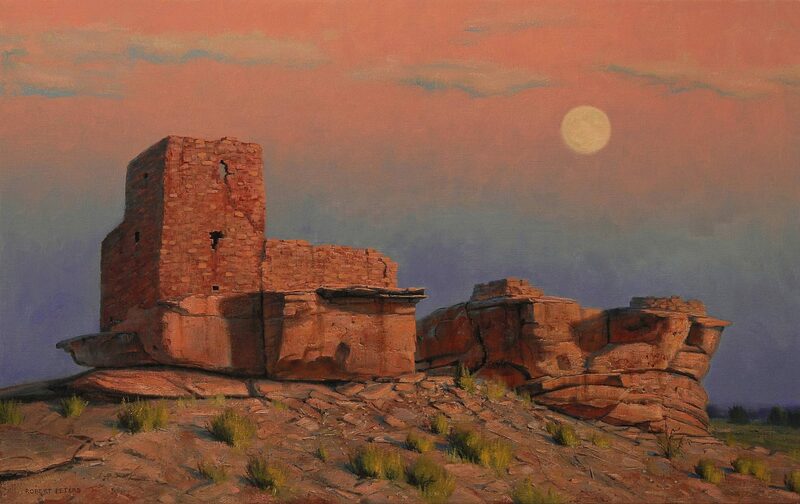 Painting of Wukoki Ruin in the Wapatki National Monument in NE Arizona. The ruins are from when the Sinagua (Ancestral Puebloen) people inhabited the Southwest. Painting by artist Robert Peters.